At this point it took two “dressers” to help me. 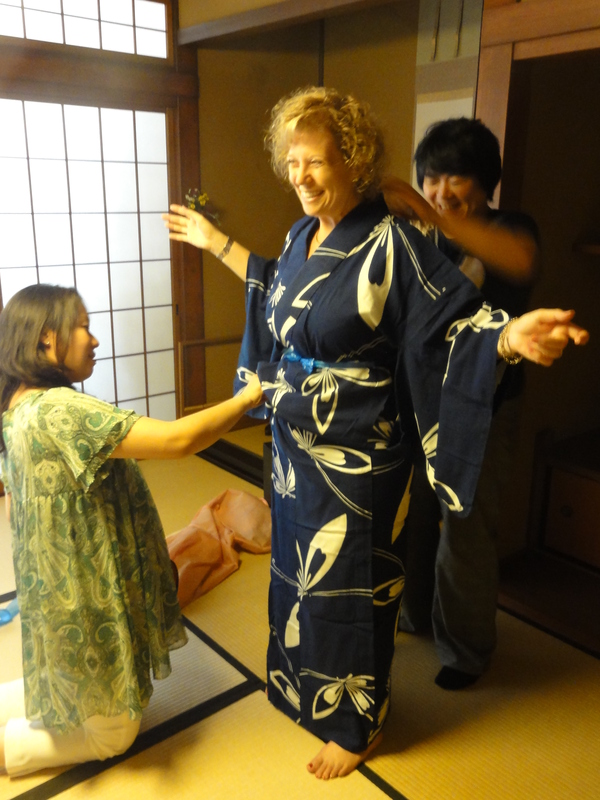 Putting on – “wearing” – the yukata is an art. Not everyone knows how to do it properly. Making a very complex bow. 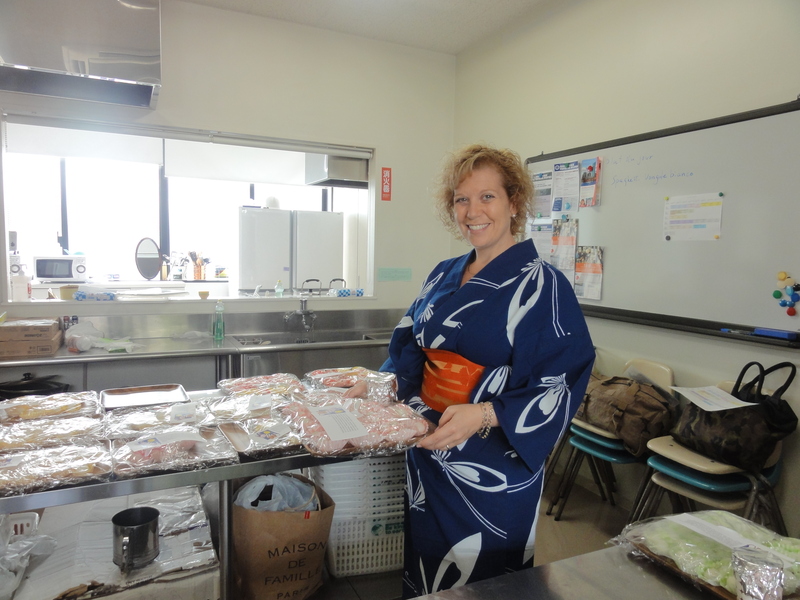 Here I am ready to serve the odango for otsukimi – moon watching, which is the reason I was doing this in the first place. More on the festival later. From start to finish, it was quite an experience. 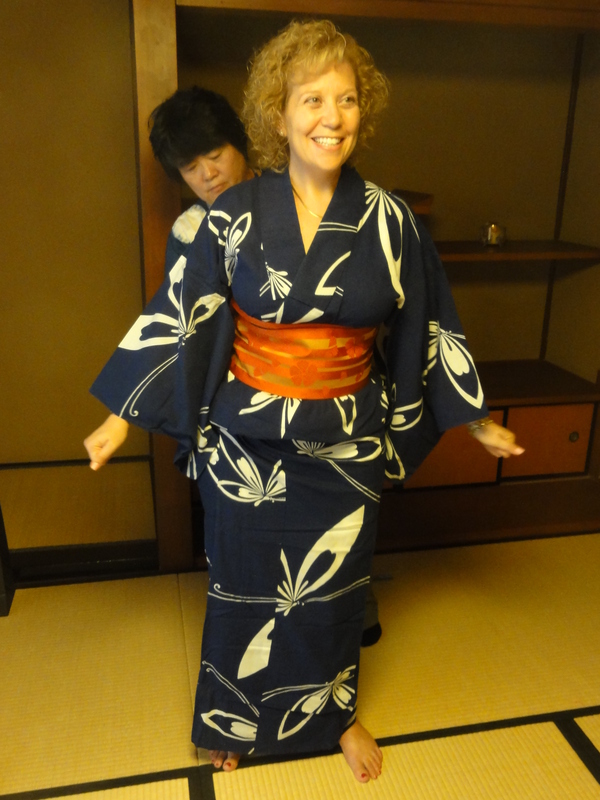 It was snug, but not overly tight. 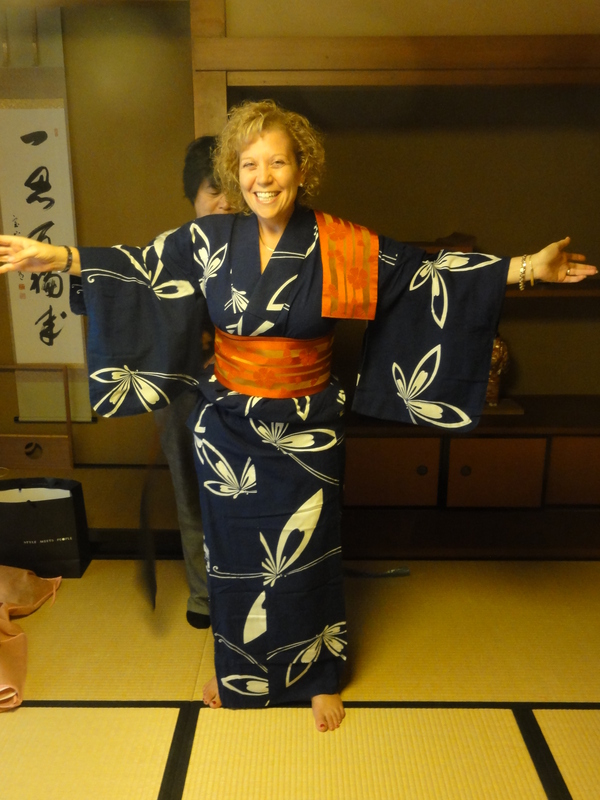 A yukata differs from a kimono in its formality and fabric. 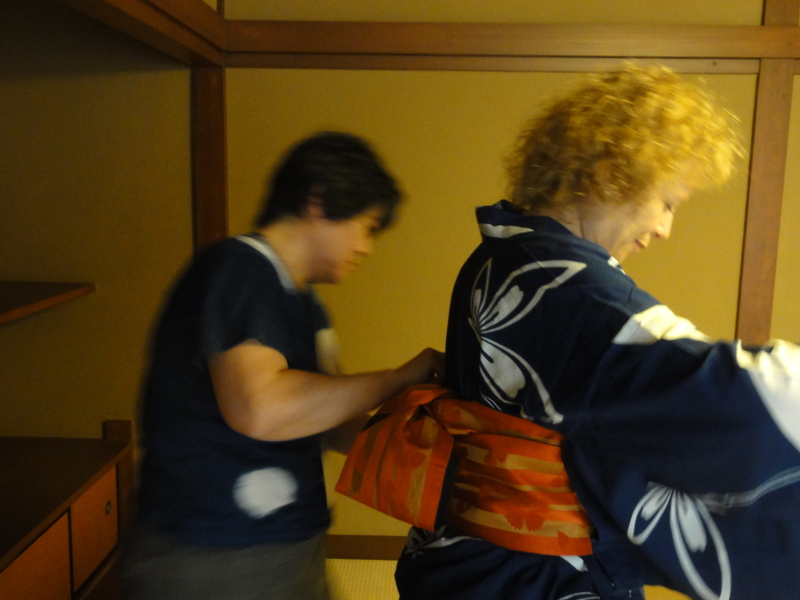 The yukata are lighter in weight, and mostly worn in summer and therefore, they are less formal. While it was snug, it wasn’t uncomfortable. I actually felt very um…supported. I felt all loose when I took it off. 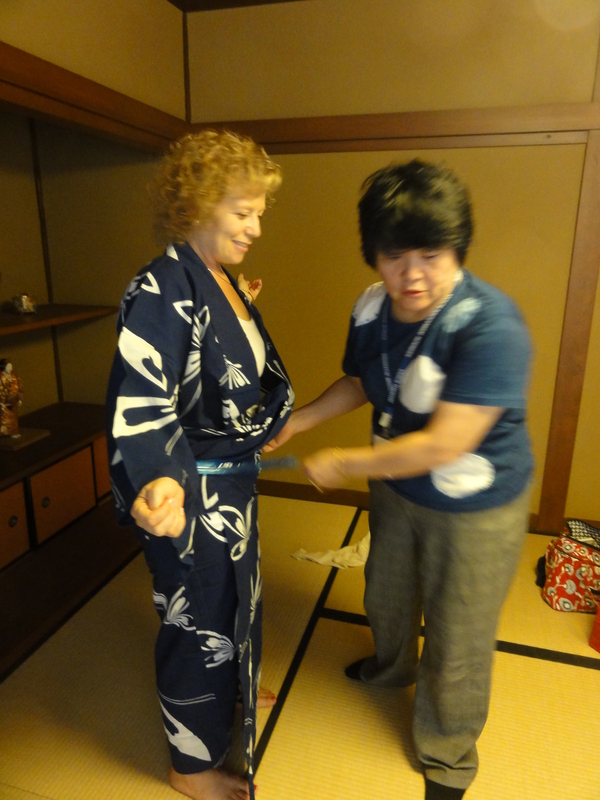 It was a very interesting sensation – putting it on and removing it.